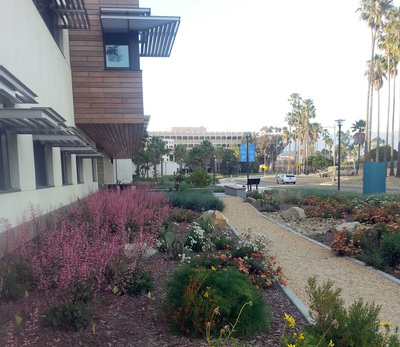 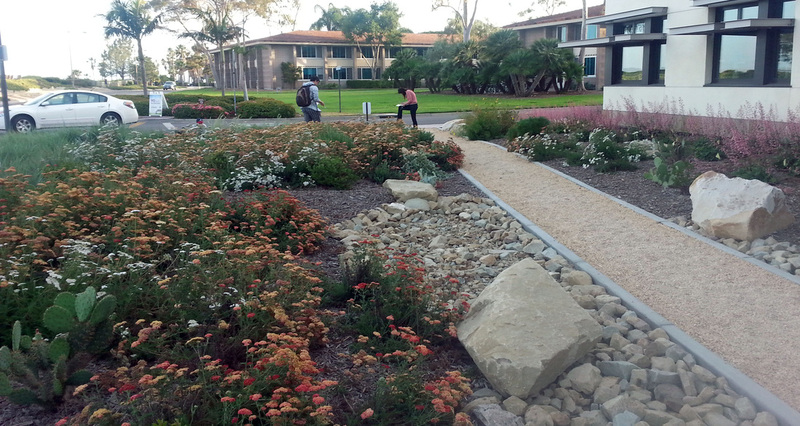 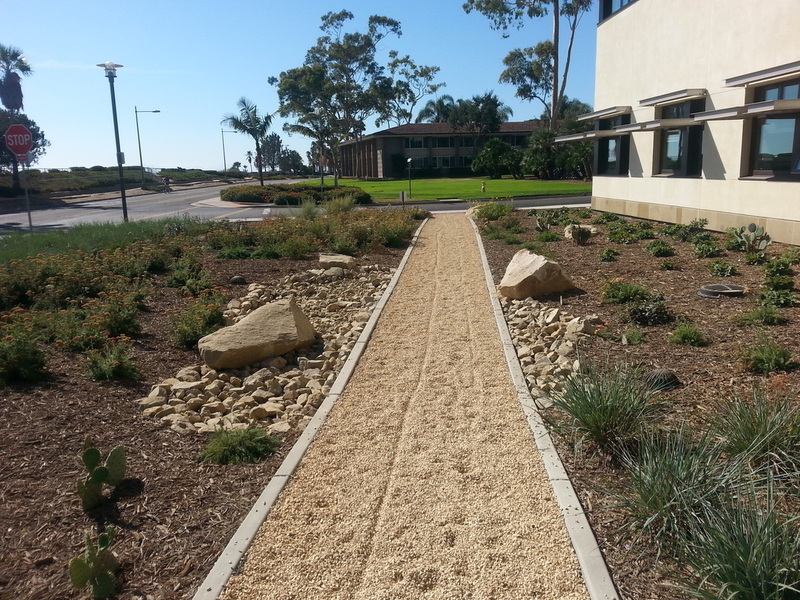 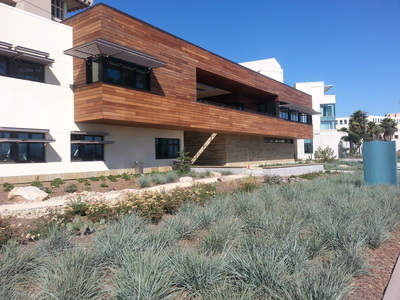 The Ocean Sciences Center, completed in 2013, is a beautiful new building on the UCSB campus. 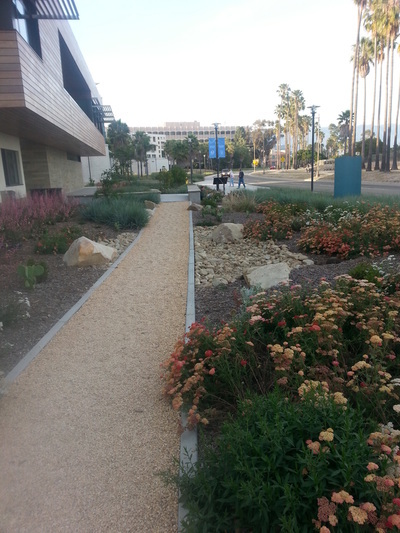 The landscape is composed of plants from the Channel Islands and the garden will be used for environmental education about the ecosystem on the islands. All the rainwater that falls on the site, including roof water, is infiltrated into basins. 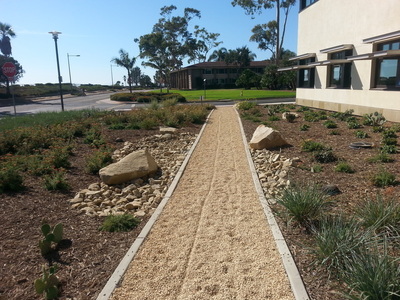 This Project earned a LEED Gold Certification. Derrik Eichelberger, Arcadia Studio, Lead Designer. 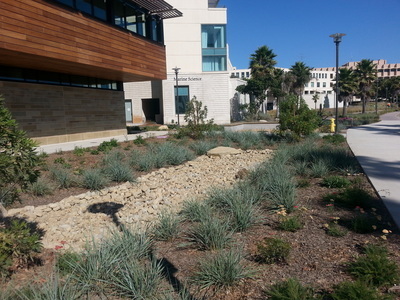 Meg West, Project Manager.